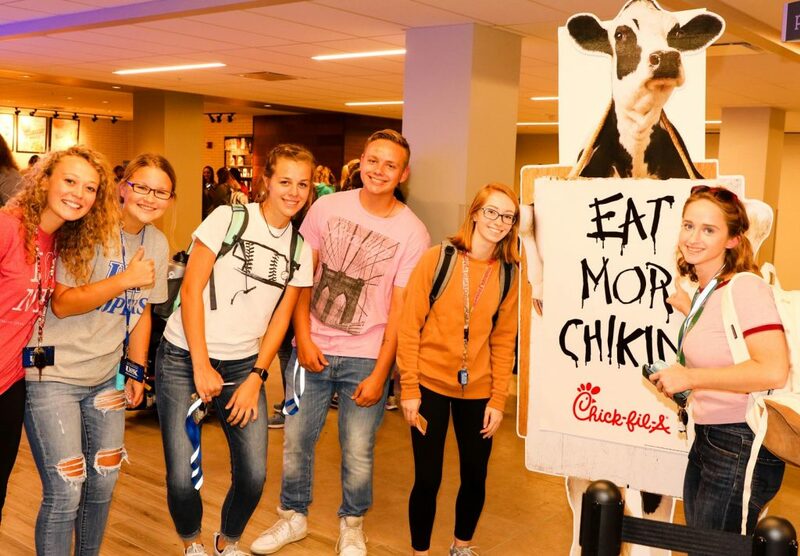 This post has already been read 1777 times! 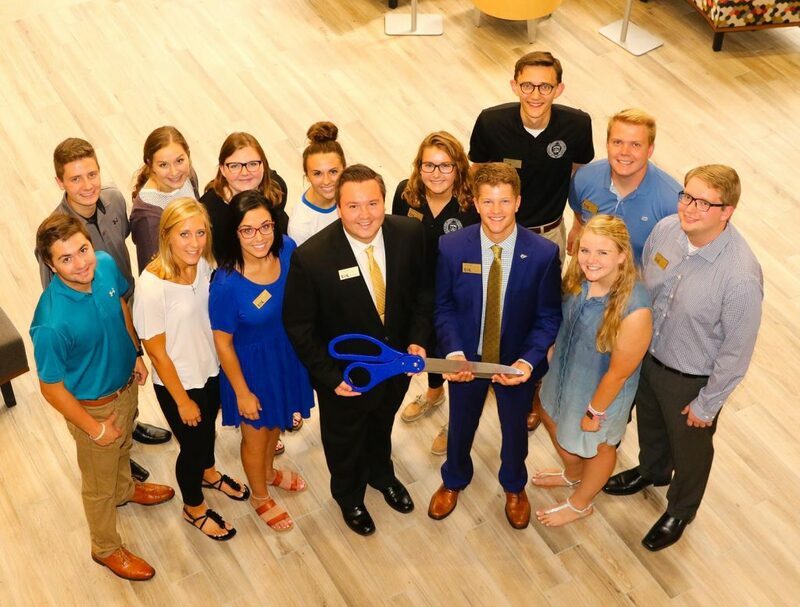 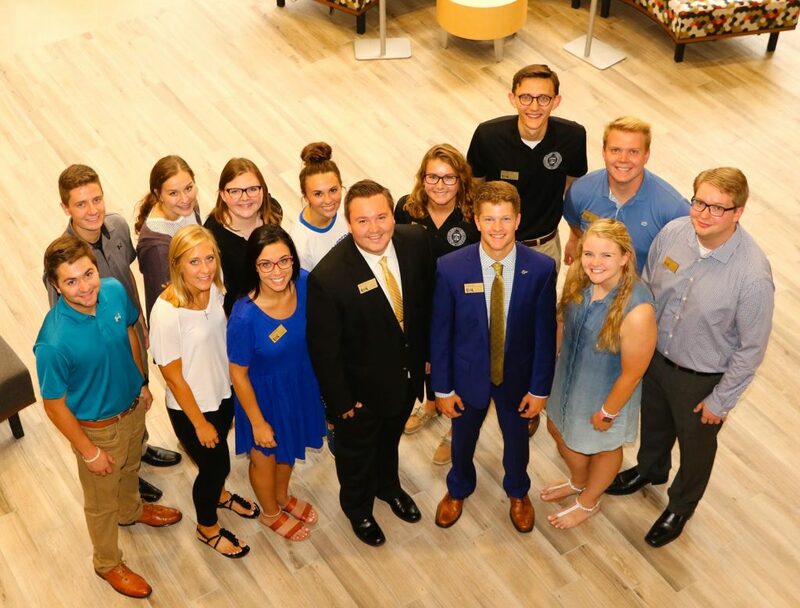 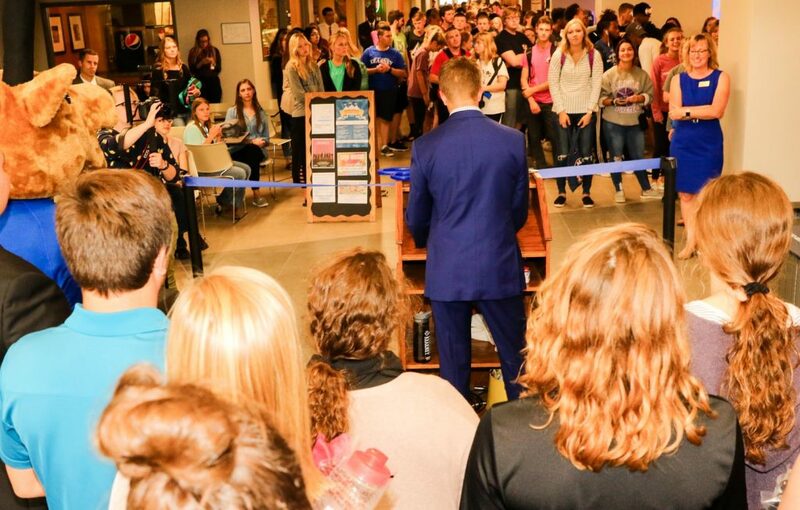 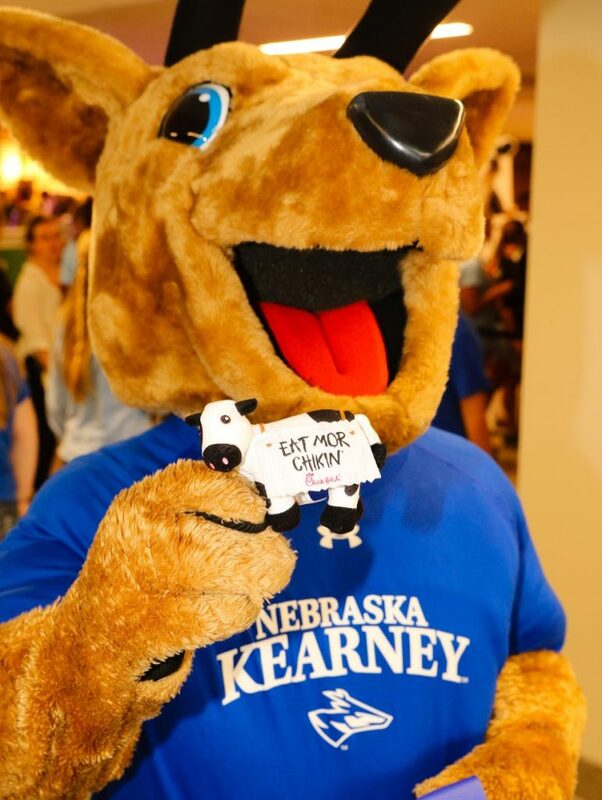 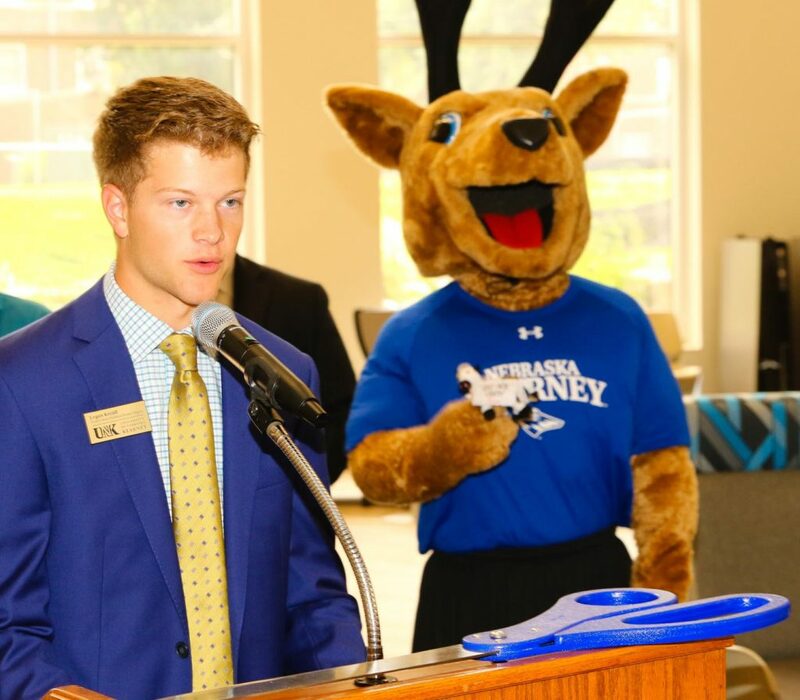 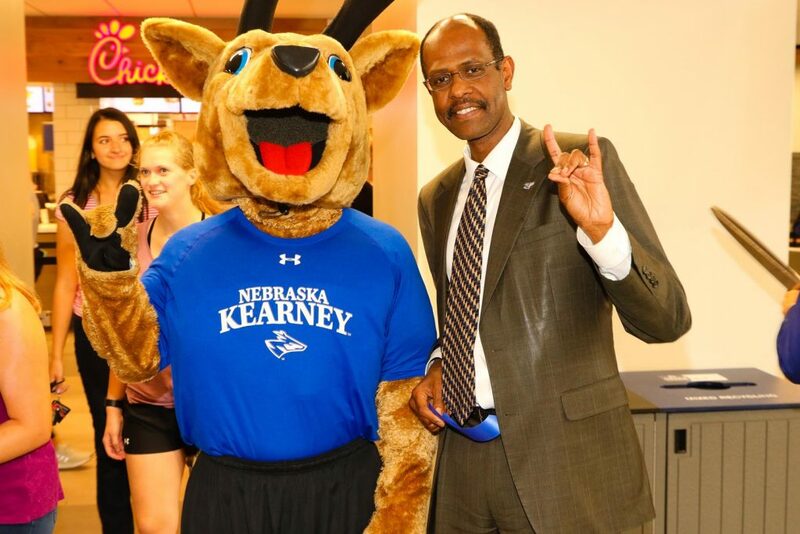 UNK Student Government hosted a ribbon-cutting and grand opening Monday to celebrate first phase renovations of the Nebraskan Student Union, which include the recent opening of a new Starbucks and Chick-fil-A. 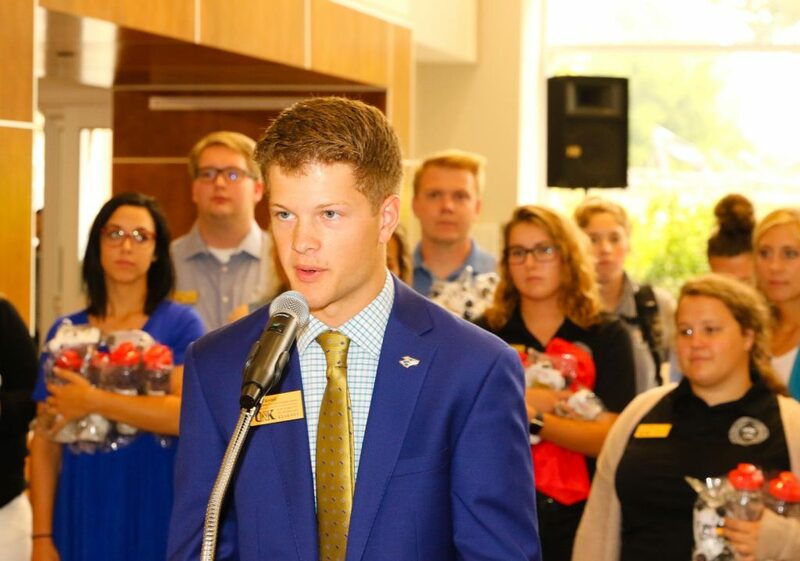 UNK Student Body President Logan Krejdl spoke at the event recognizing the million project that started in December. 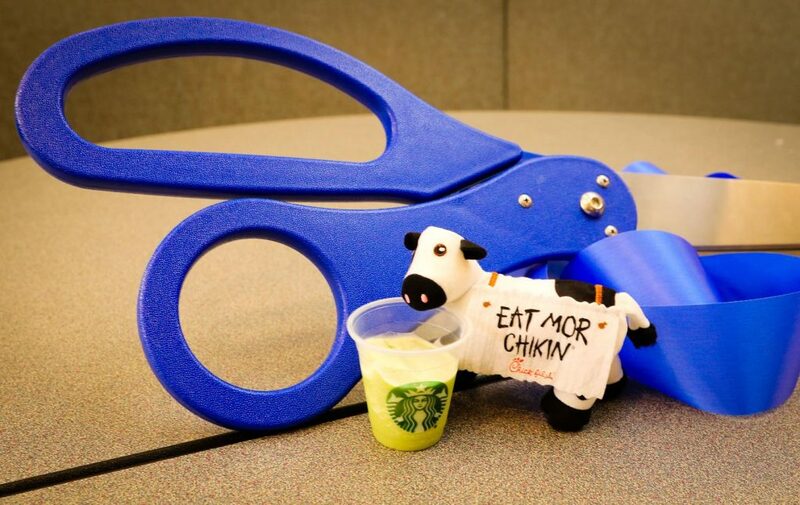 It is paid for with facility reserve funds and vendor investments. 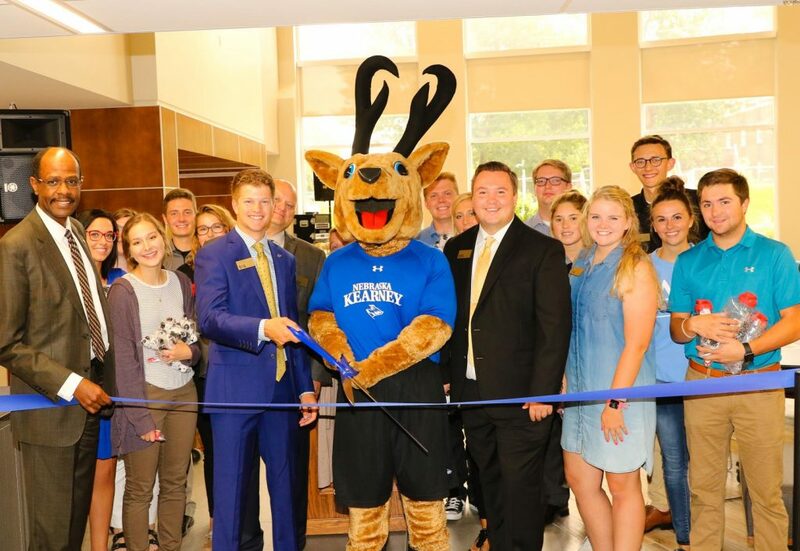 In addition to improved dining areas, the project design creates a more open layout with spaces for meetings, studying, relaxing or hanging out with friends, including a student lounge with a gas fireplace. 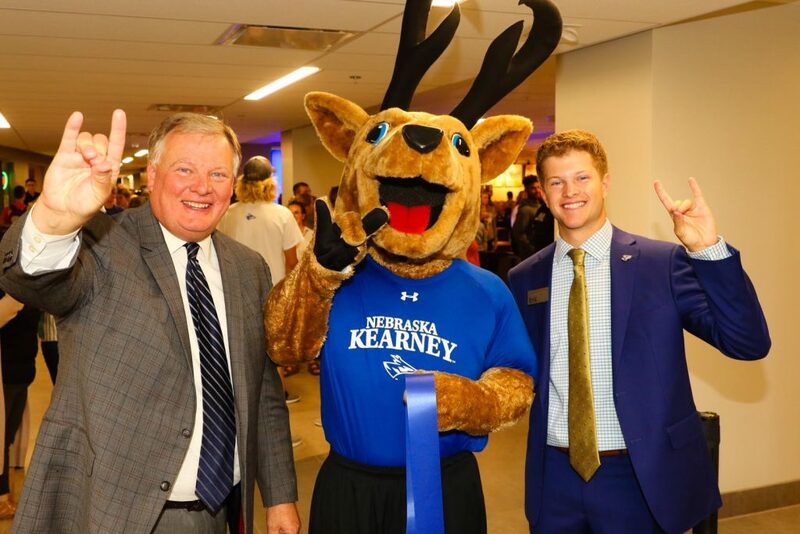 New furniture and interior finishes are also part of the project, which is scheduled for completion by Sept. 6. 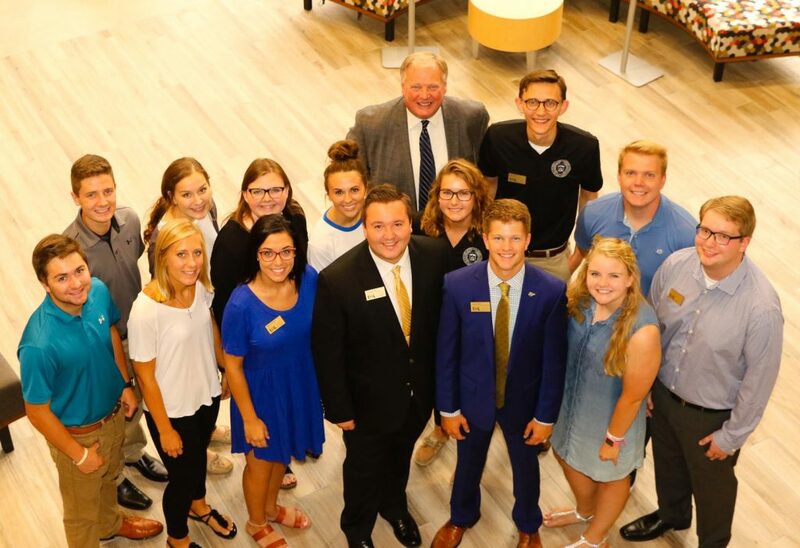 The project, which also addresses HVAC, lighting and sewer issues, was initiated by UNK Student Government members in 2015-16. 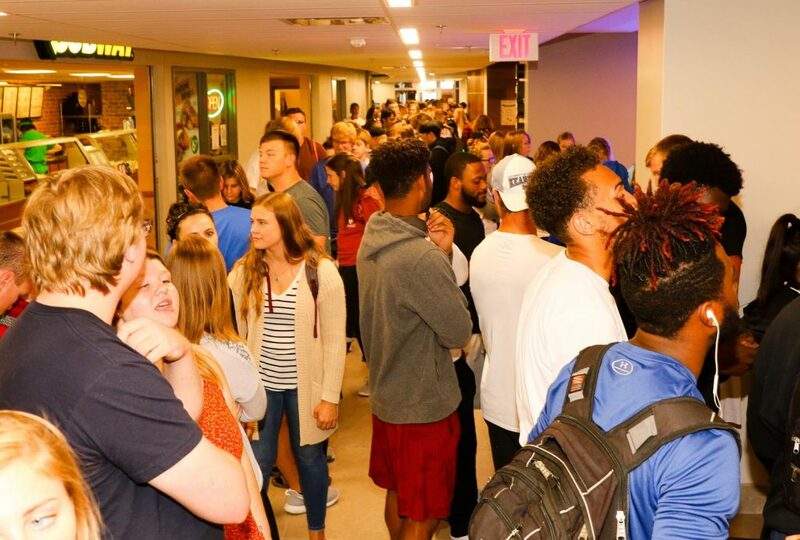 Student surveys showed overwhelming support for 24-hour access to the union, which was implemented in fall 2016, new restaurant options and other changes. 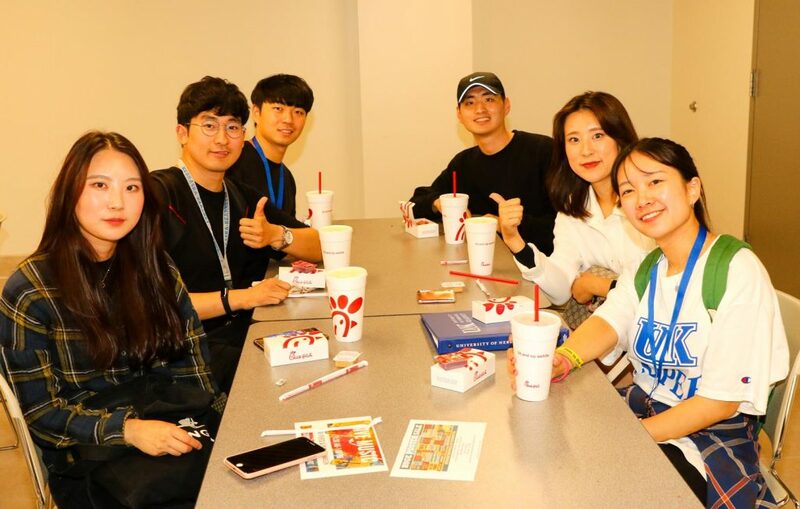 Comfort sudying should come up with good relax. 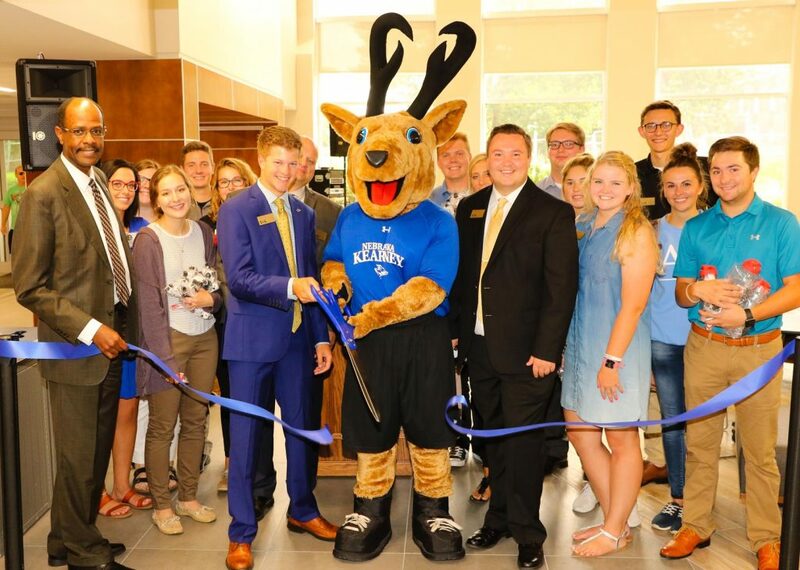 I’m not a fan of Starbucks but the way they adjusted design is near UNK is great! 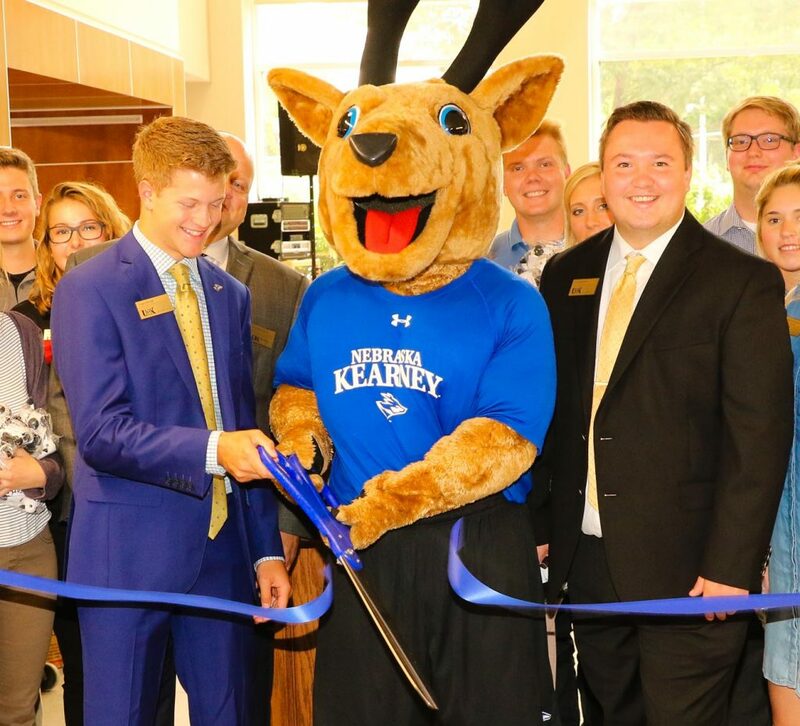 Good initiative from Logan Krejdl.